Located in Martin Square, The Hoof and Trotter is a purveyor of fine American BBQ from Texas, Idaho and beyond. Coming from the big city of Fort Worth and joining forces with a native Idahoan, Corey and John have mixed the best of their hometowns with some inspiration from other regions of BBQ. 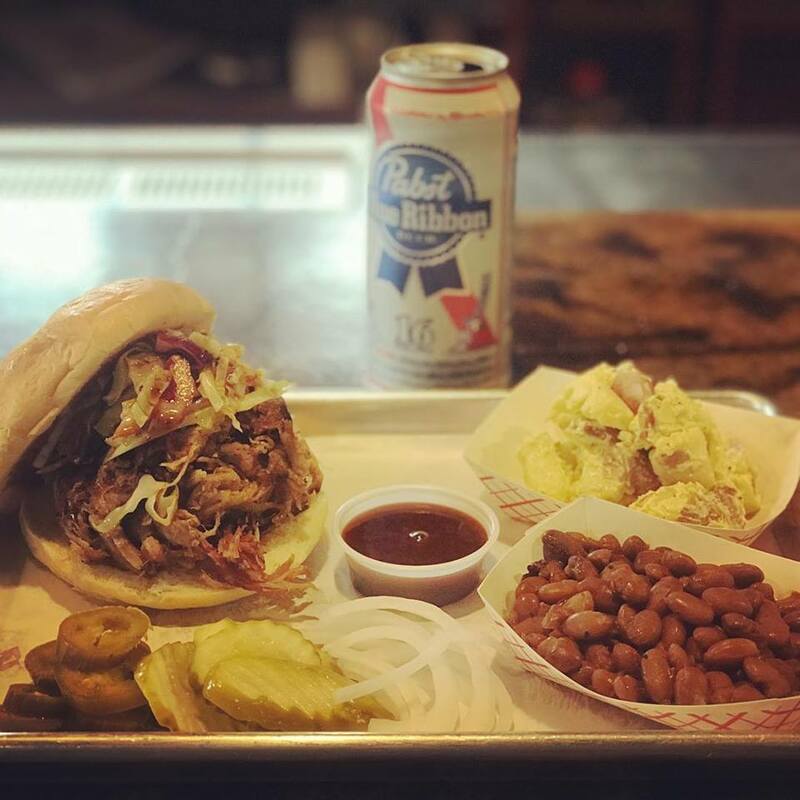 Maple and Hickory smoke will be traveling downtown Moscow from the rooftop of Martins square, beckoning the locals to come in, grab a plate of perfectly smoked beef or pork (or both) and enjoy the fruits of the field. We take pride in bringing delicious local meat to the table and smoking it low and slow for hours on our wood burning pit. Jalapenos filled with our spicy cream cheese, pulled pork and wrapped in bacon. Smoked to crispy perfection. Pinto beans, onions, our delicious brisket meat with a little jalapeno and a whole lot of flavor. Our crispy & thin fries topped with our green chile mac sauce, 4 oz of pulled pork or brisket and green onions. Corn tortilla topped with chopped brisket, corn and black bean salsa, chimicurri sauce, chipotle mayo and cotija cheese. Corn tortilla topped with pulled pork, mexican slaw, chimicurri sauce, chipotle mayo and cotija cheese. Quick Catering - Ideal for lunch and dinner of 10-25 people with 24 hours notice.